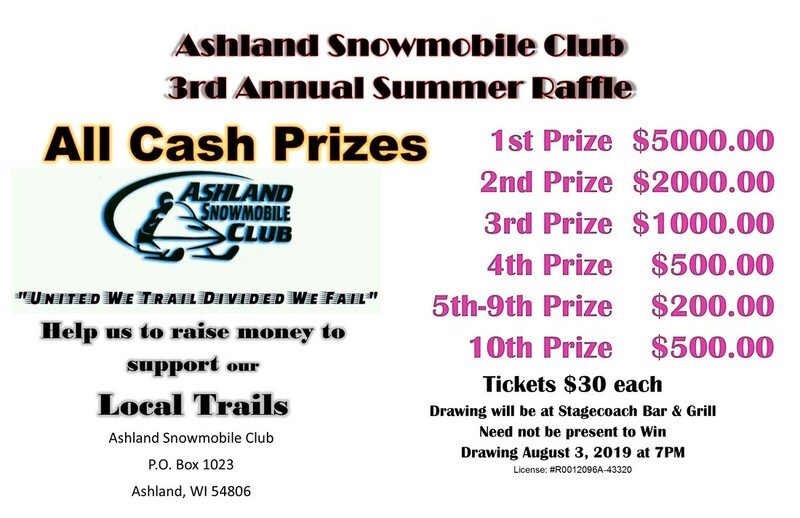 We will be having our Annual Summer Raffle on August 3, 2019 at Stagecoach Bar & Grill in Ashland. Tickets are on sale now, buy yours now for the all cash payout raffle. ​Get your tickets from Club members, Stagecoach Bar & Grill, Scott & Ar's (more locations will be added as the tickets are distributed). Tickets go fast so remember to get yours today.